Day 1: Our adventure begins as we depart on our transatlantic flight to London, England. Meals will be served in flight and we can relax and enjoy the movies or sleep. 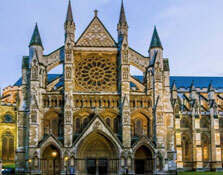 Day 2: Upon our arrival in London, we meet our coach and begin with an orientation guided tour of the world’s most visited city. We see sites such Big Ben and Parliament, Trafalgar Square with the Lord Nelson Column, Westminster Abbey, and of course, Piccadilly Circus. We then have check into our hostel for a welcome dinner and a good night’s rest. 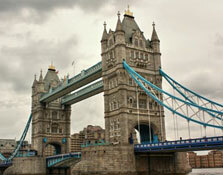 Day 3: Today we enjoy a full day of sightseeing to find out more about Harry’s London. We visit Kings Cross Railway Station at Platform 4 and find where Harry and his fellow students walk through the barrier to catch the Hogwart’s Express train (Platform 9-3/4). We take some time to discover the shop for special items like Quidditch Sweaters or Character Wands or other magical souvenirs. 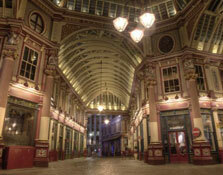 Next it is on to the “real” Diagon Alley at Leadenhall Market, Australia House (to view where the Gringott’s Wizarding Bank scenes were filmed) and so much more. We stop by Buckingham Place to see changing of the guard and later visit Madame Tussauds to see if we can find Daniel Radcliff or the lovely Emma Watson. 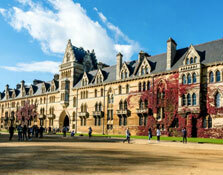 Day 4: We transfer to Oxford for a tour and visit at the Great Hall at Christ Church College, Bodleian Library and New College cloisters to see the locations where several Harry Potter scenes were filmed. We have some free time before heading back to London. Day 5: After breakfast, we tour the Warner Bros. Studio and learn about the making of the Harry Potter films. We relive the magic through the eyes of the filmmakers who brought Harry and his friends to life on the big screen. We have free time this afternoon to explore London. Tonight, we take in the famous Beefeater medieval banquet, held in torch lit cellars. We can awe at the prowess of fighting knights, jesters, minstrels while enjoying our meal with entertainment and even a little dancing. Day 6: This morning we board the train to Edinburgh. We meet our guide upon arrival and together explore The Elephant House, a café where JK Rowling wrote the Harry Potter books. We then visit Writers’ Museum on the Royal Mile and learn about three of the main Scottish writers: Robert Burns, Walter Scott and Robert Louis Stevenson. After dinner we learn about the morbid phantoms that create horror, torment and terror in Edinburgh on our walking ghost tour. Day 7: We have an inside tour of Edinburgh Castle, with its foreboding ramparts and walls, amazing city views, Crown jewels, and the siege gun, Mon's Meg. Next, we explore the National Museum of Scotland. There we marvel at all the collections, which house everything from nature to art, culture to science and tell the story of Scotland, and its land, people and culture. We then view the Parliament and depart to Ft. William for an overnight. On the way to Ft. William we stop at Loch Ness for a picture stop. 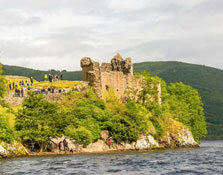 Maybe Nessie will show up in someone’s picture. Day 8: We board the Jacobite Steam Train this morning that passes by Arisaig, the Loch Morar and River Morar arriving at Mallaig by Loch Nevis. 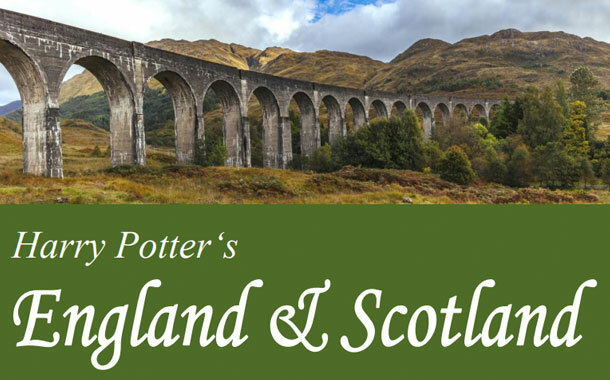 We meet our coach and transfer to Glenfinnan for a photo stop of the train crossing the viaduct at 3:00 pm, a magic sight of Harry Potter fans! 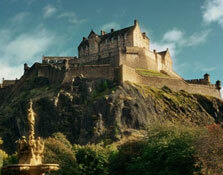 We then continue to Edinburgh where farewell dinner awaits us. Day 9: Regretfully, it's time to say "cheerio" and transfer to the airport, where our flight is waiting to return us to the United States. We return, however, with memories of interesting and famous landscapes and Harry-inspired locations brought to life, and most importantly, a wealth of new friends! Welcome home! Private, deluxe touring coach for Days 4 and 6 to end of tour and for airport transfers. 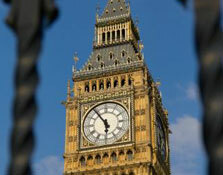 All taxes and tips for provided services on land tour, including driver and tour guide tips.